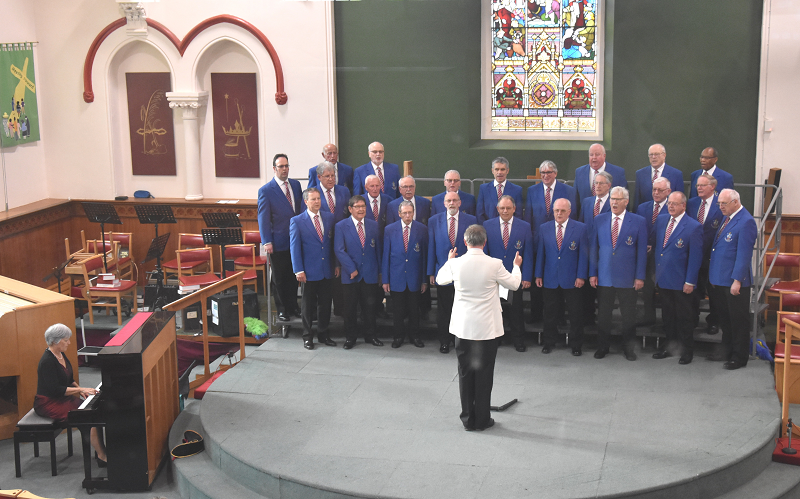 Saturday,21st April, 2018 - Parkinson's UK Concert at Bath Road Methodist Church, Swindon. 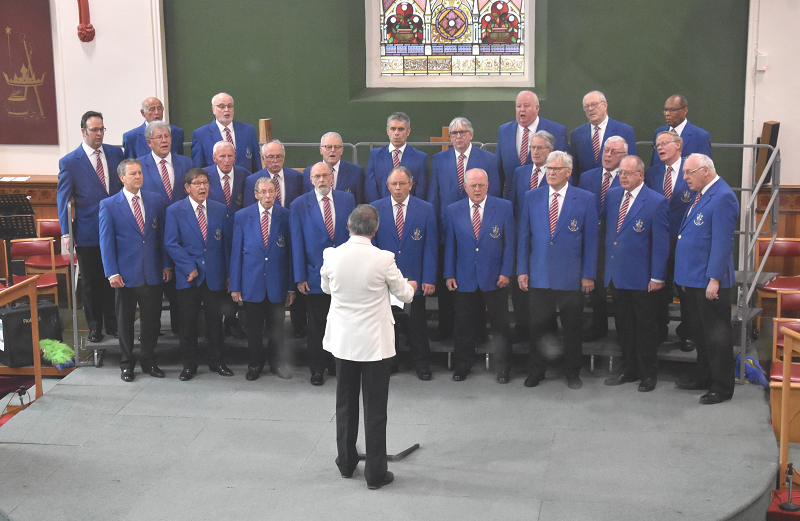 A joint concert with Thamesdown Ladies Choir. 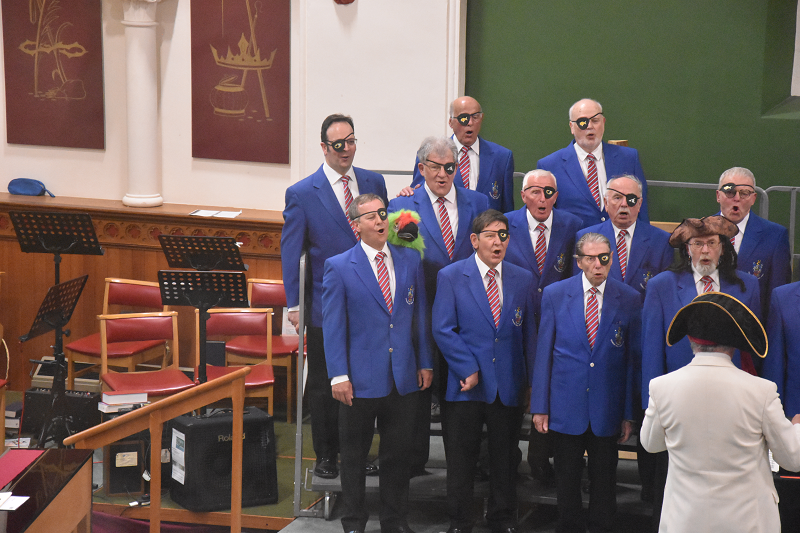 Saturday, 21st April, 2018 – Parkinson’s UK Concert at Bath Road Methodist Church, Swindon. 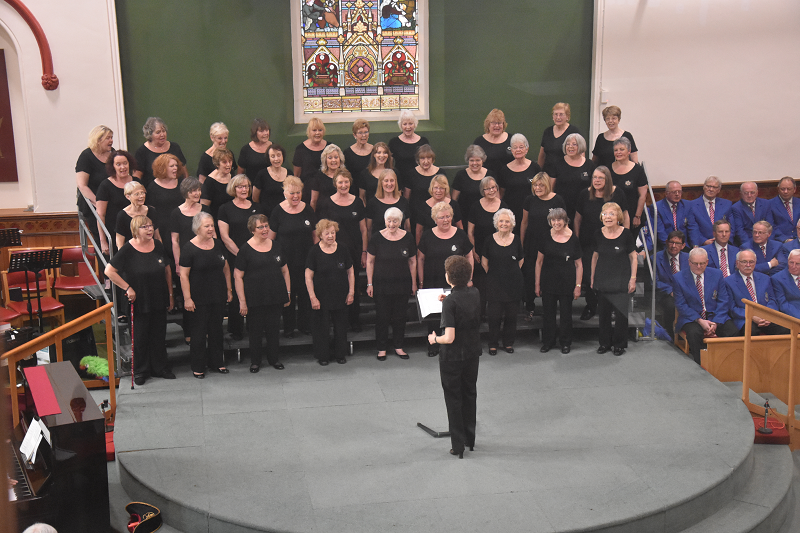 A joint concert with Thamesdown Ladies Choir. 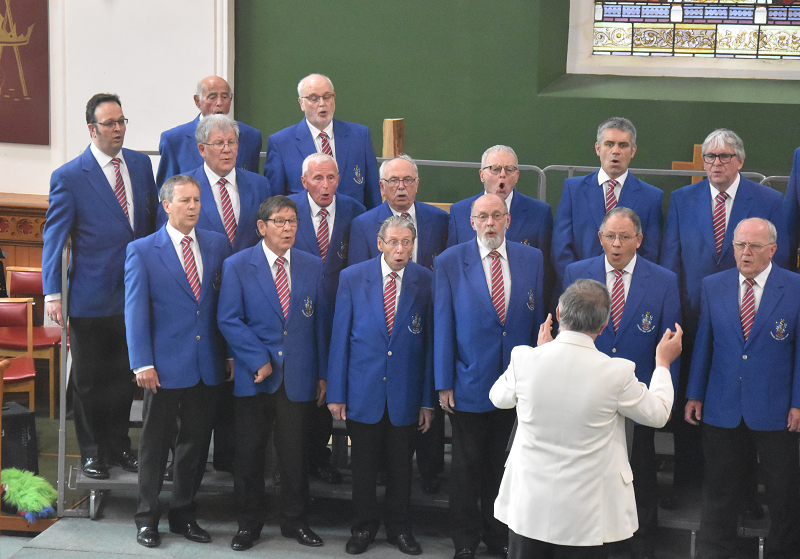 Saturday,21st April, 2018 – Parkinson’s UK Concert at Bath Road Methodist Church, Swindon. 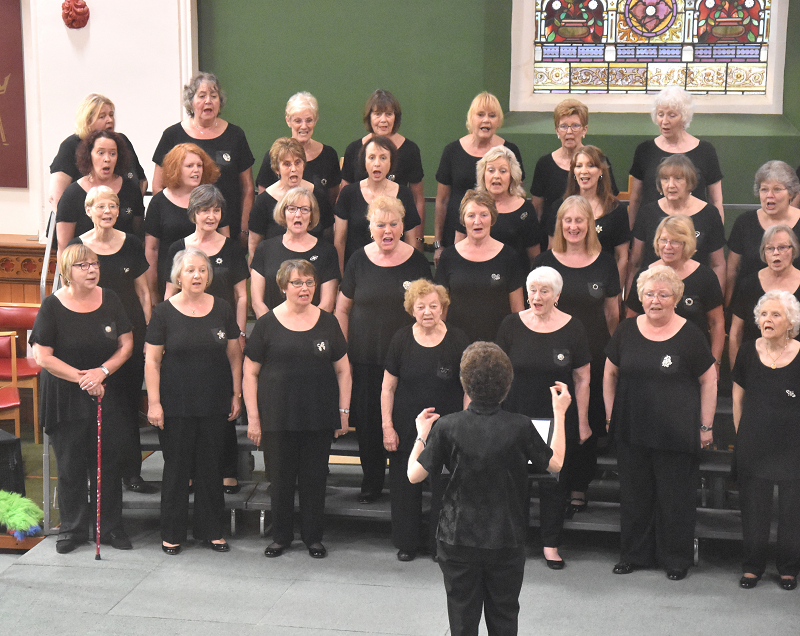 A joint concert with Thamesdown Ladies Choir. 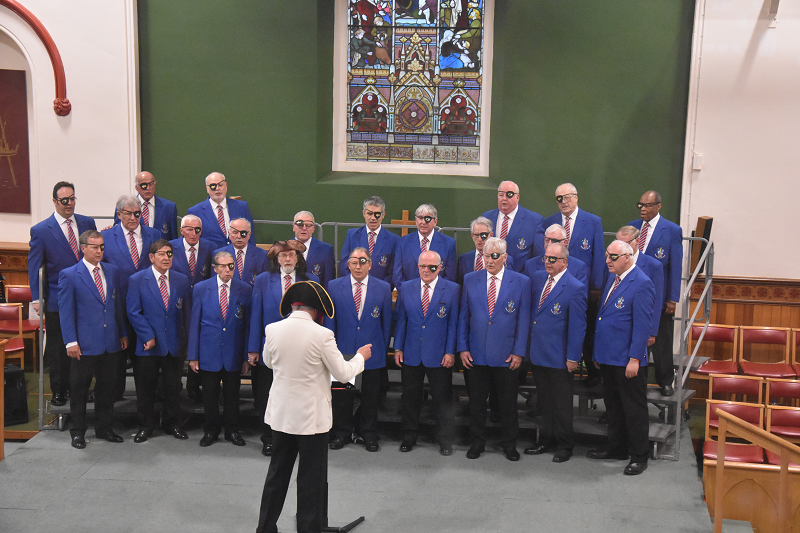 The event raised £800 was raised for the Parkinson’s UK charity. The following photographs give a flavour of the event. 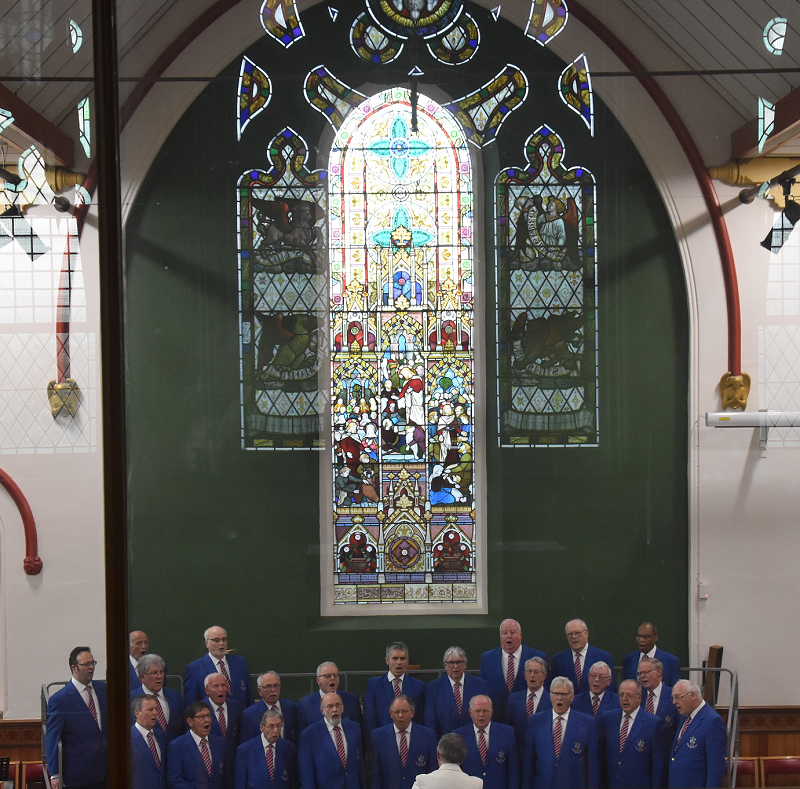 SMVC small in number on the night but with their big hearts and voices they made a great sound. SMVC Musical Director, Max Brockman-More leads SMVC in song. 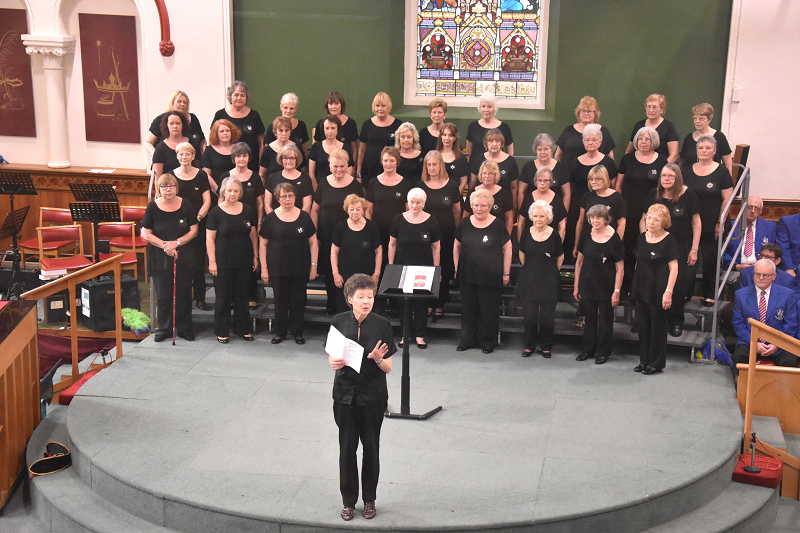 Thamesdown Ladies Choir – lead by their Musical Director, Shelley Morgan. Singing a variety of songs. 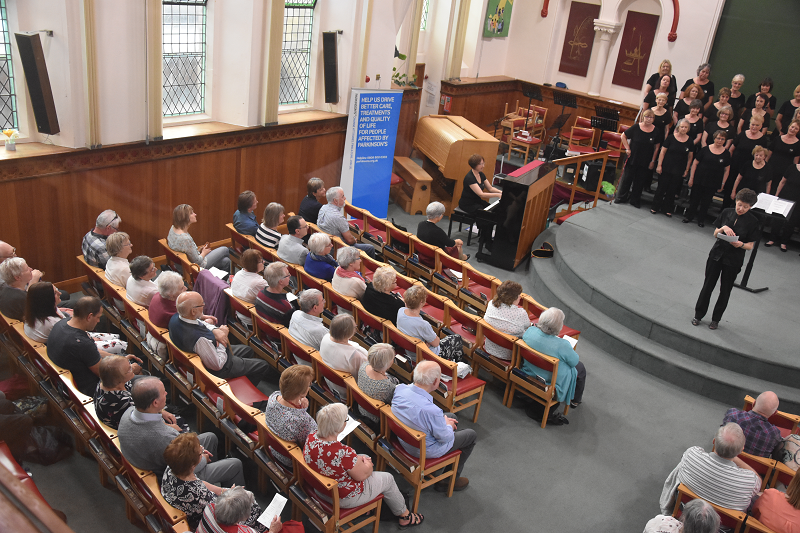 A large audience enjoy the performances of both choirs. 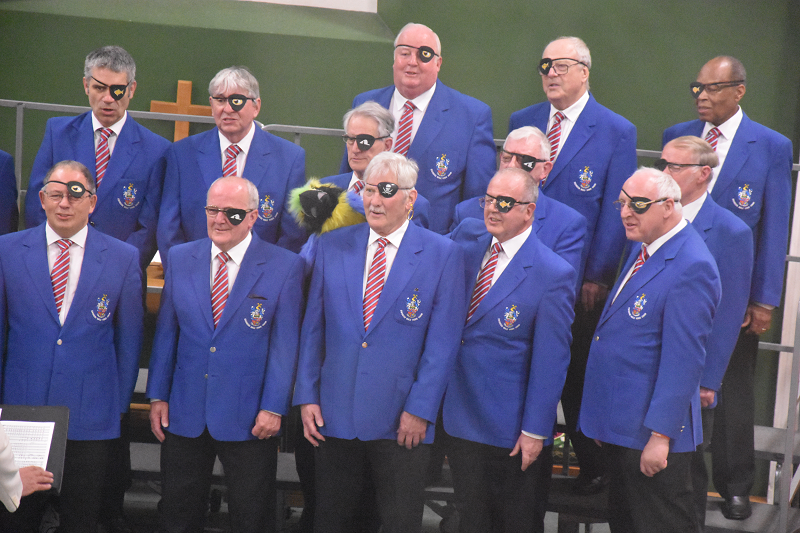 No audience can escape the SMVC parrots, who are widely travelled and seldom miss a concert appearance. See the next two photos for the show pleasing parrots. 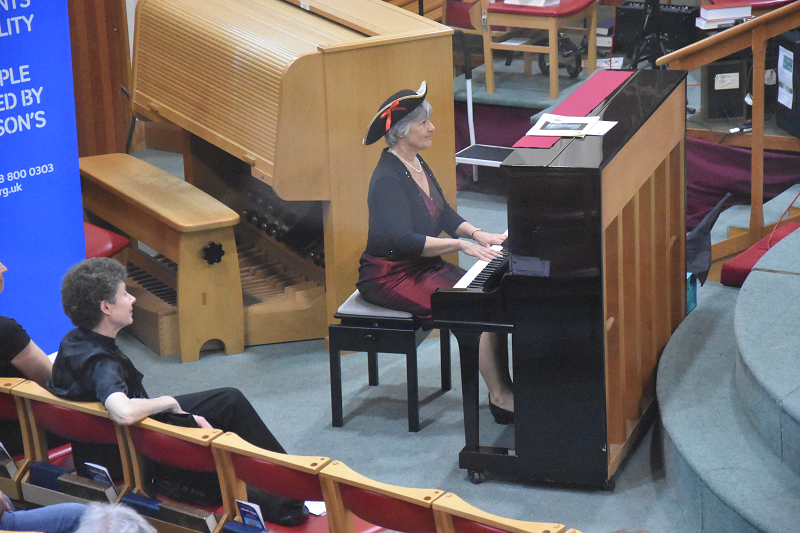 Kate Lock the Deputy Musical Director joins in the spirit of ‘The Song of the Jolly Roger’ too. 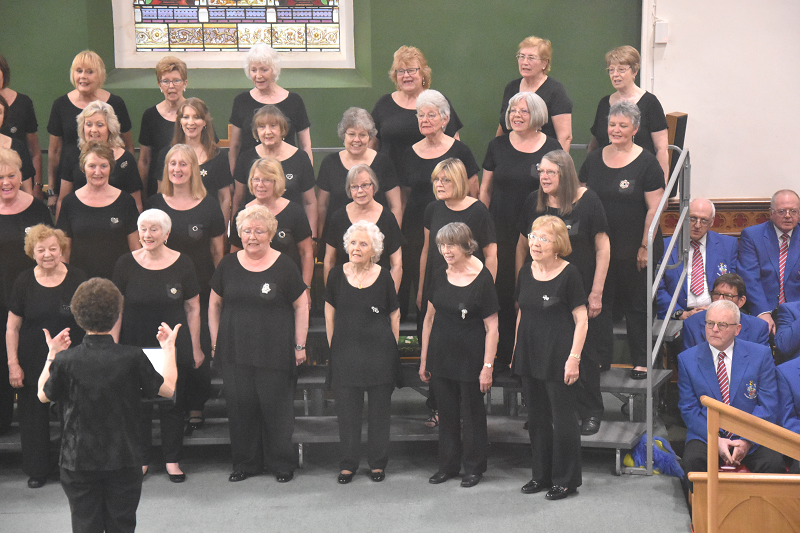 Final item from Thamesdown Ladies Choir.